Getting married at the Crystal Ballroom in New Jersey, but not sure how you and the bridal party should arrive? 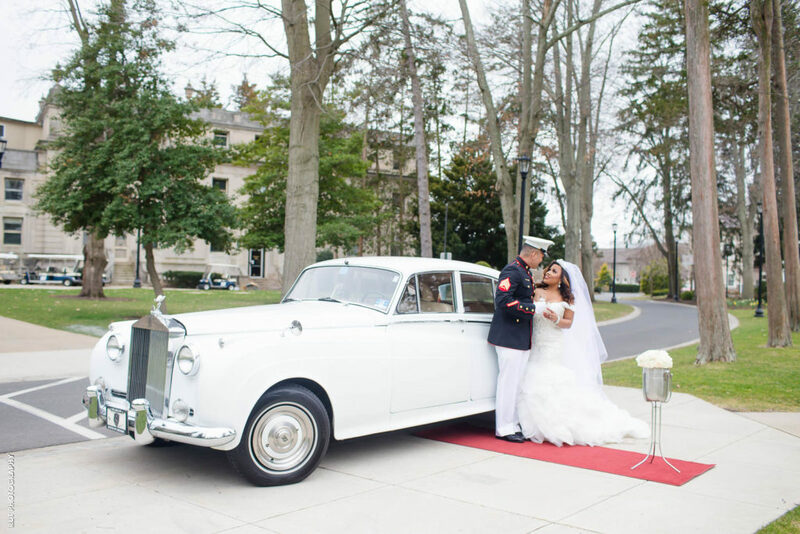 Though limousines have often been thought of as the ride of choice for wedding parties arriving at the ceremony and/or reception venue, many couples have been thinking outside of the box. Arriving in everything from old-time classic rides to trollies, we’ve seen our fair share of awesome wedding transportation. Below are a few of the most unique. If your romance felt a lot like a page out of a Disney princess story, then arriving at your wedding in a horse and carriage may be a nice romantic touch. 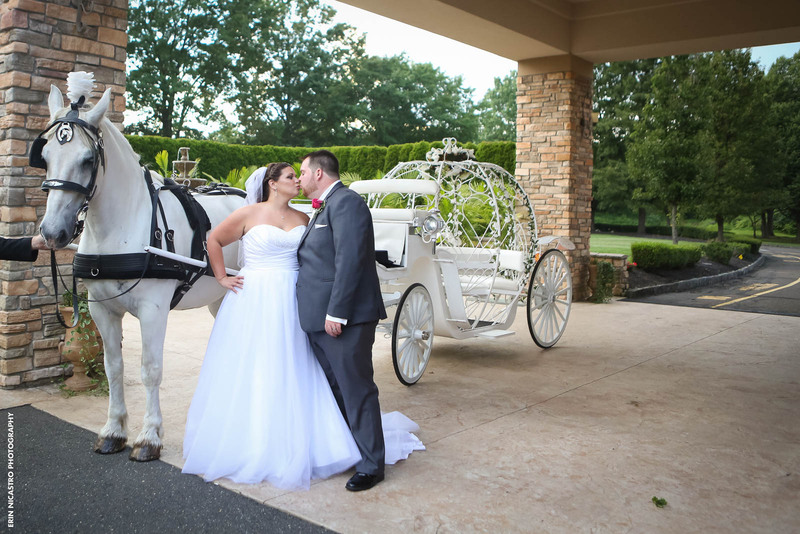 This couple rode off happily ever after in an all-white horse and carriage for the perfect end to a wonderful day. If you thought the past wedding transportation idea was out of this world, then you’ll love this idea – a trolley. 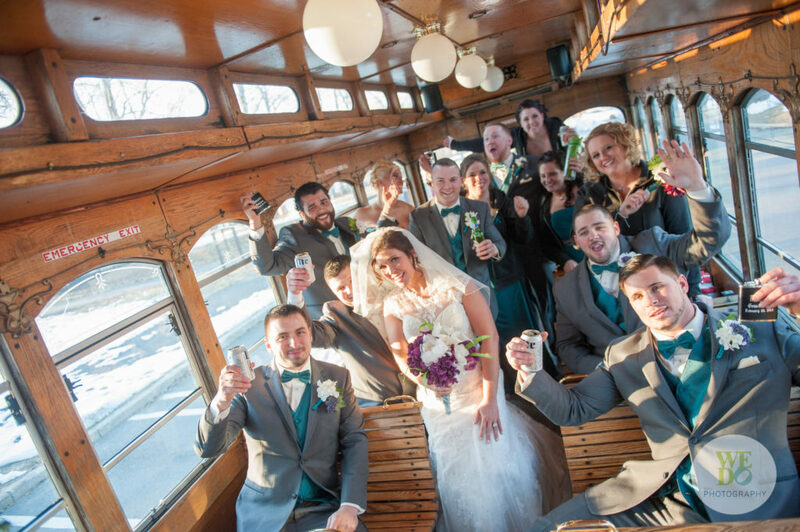 The entire bridal party hitched a ride aboard a trolley, beers, and drinks in tow, ready to have an awesome time at the reception. Does the groom have a love for old-time classic rides? If so, it would be the perfect way for the two of you to arrive at the chapel on your wedding day. 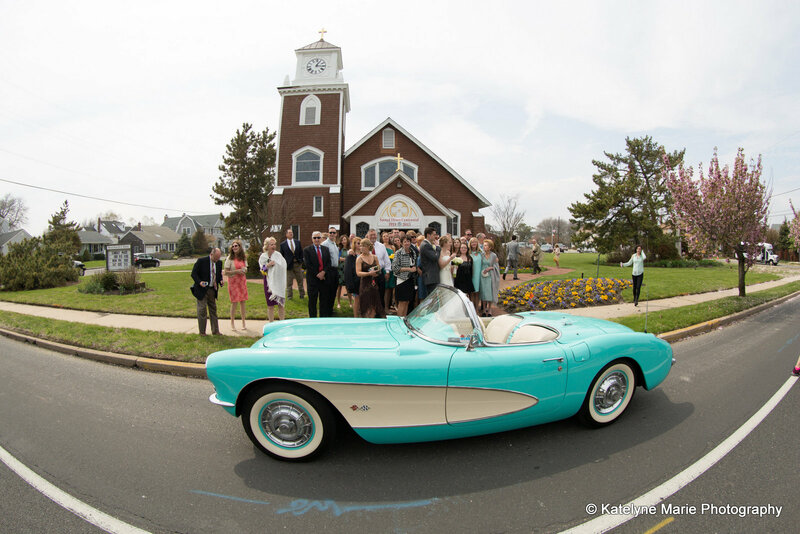 This couple opted for a teal and cream classic convertible. As you can see by the looks of their guests, this sweet ride was a great choice. Going for a vintage or classic wedding theme? This military couple chose to pull out all the stops. Showing up in an all white Rolls Royce making a perfect backdrop for their wedding photos. When it comes to pulling up to your wedding ceremony or reception in style, choosing a form of transportation that matches your personality or the theme of the day is always best. Though you’re encouraged to think outside of the box with wedding transportation, be sure to speak with the wedding coordinators at Crystal Ballroom to ensure you’re following height, permit, and facility regulations.